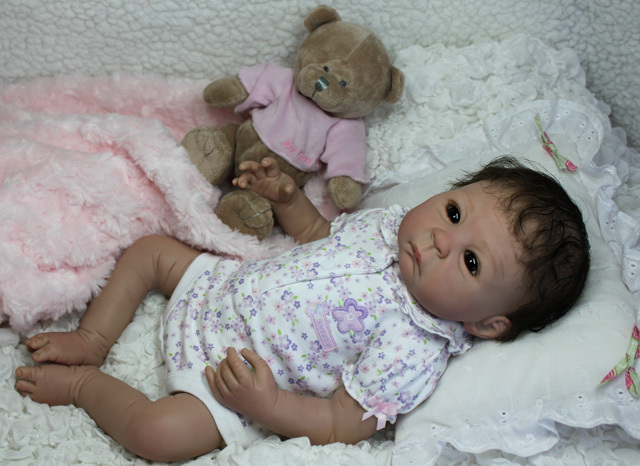 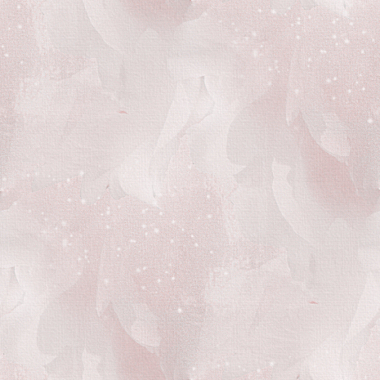 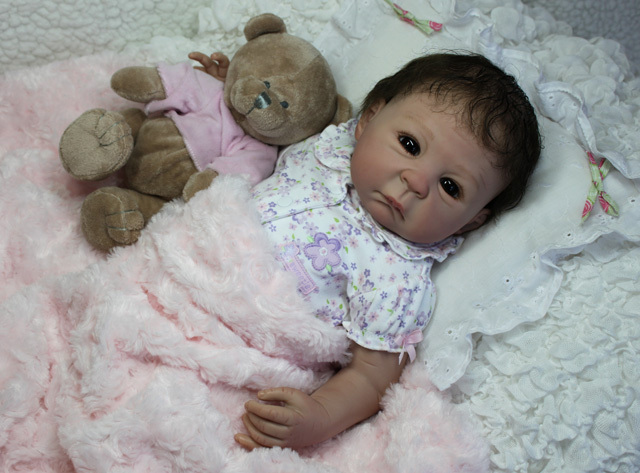 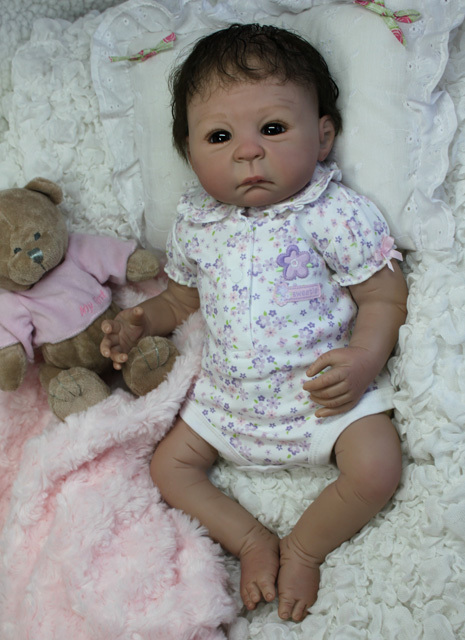 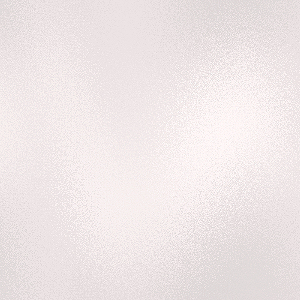 Baby Tuva started out as a Simone kit in a sold out limited edition, originally sculpted by the artist Sebilla Bos. 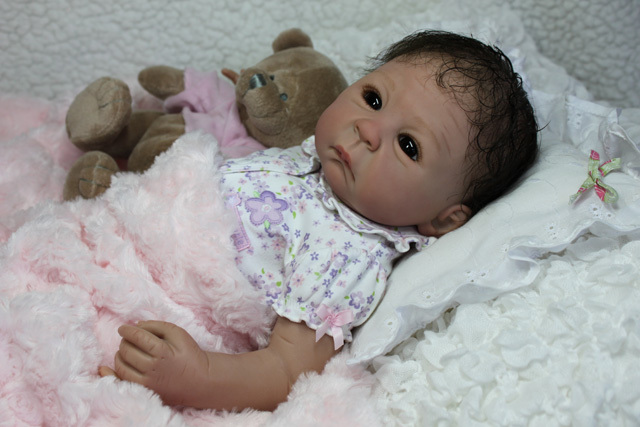 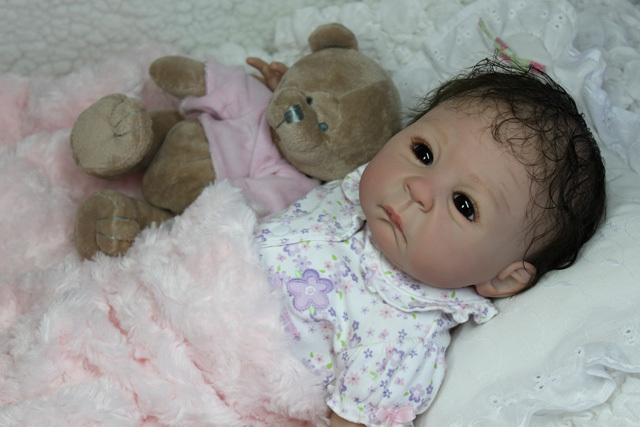 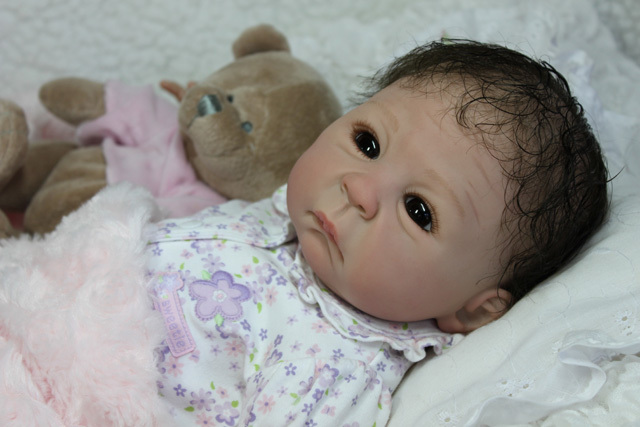 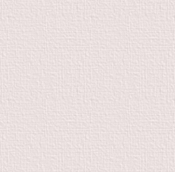 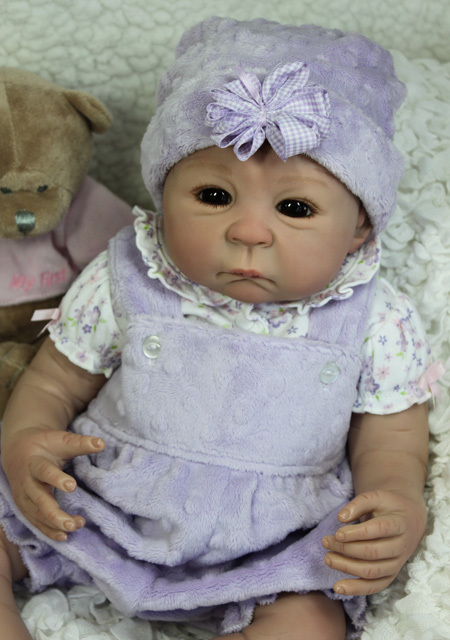 She´s got chubby 3/4 length arms and legs and mouthblown dark brown eyes from Lauscher. 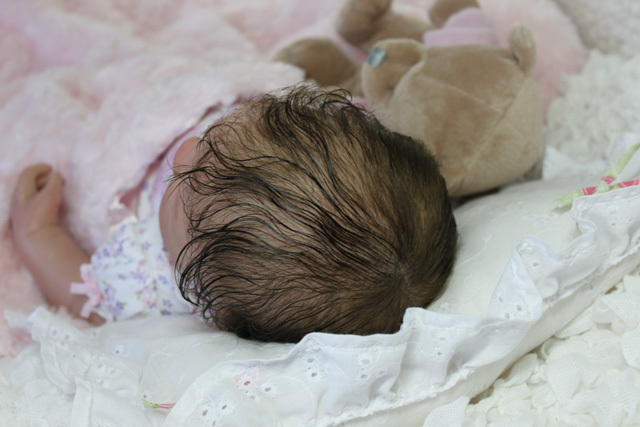 Her hair has been carefully rooted by hand and is high quality dark brown mohair. 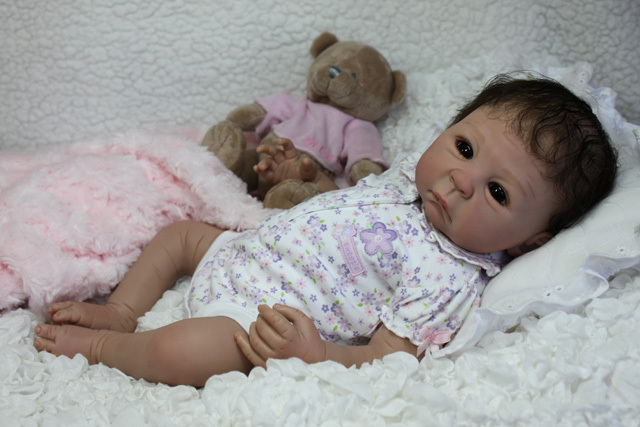 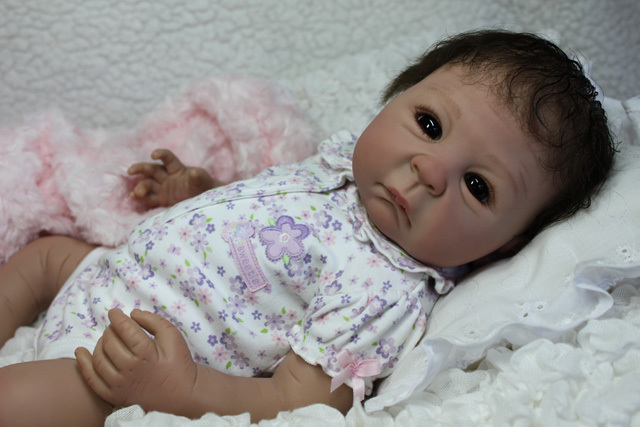 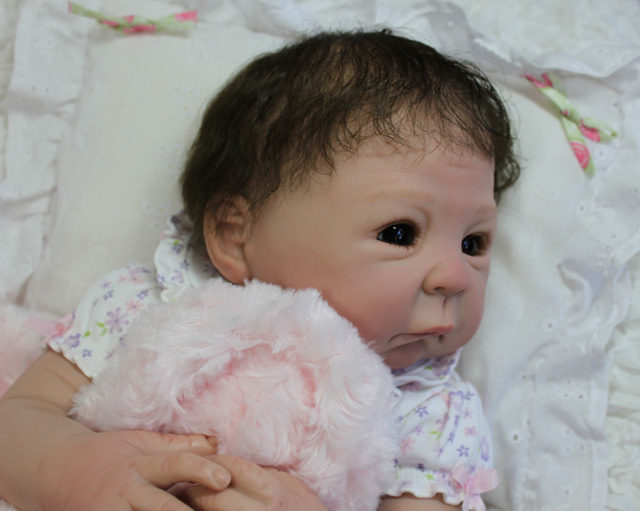 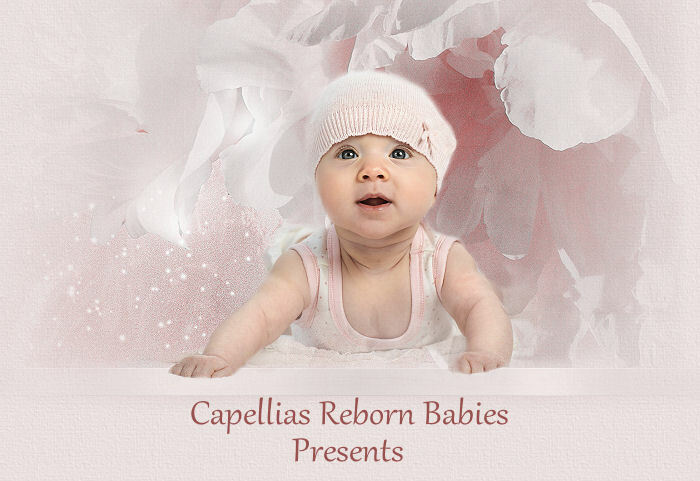 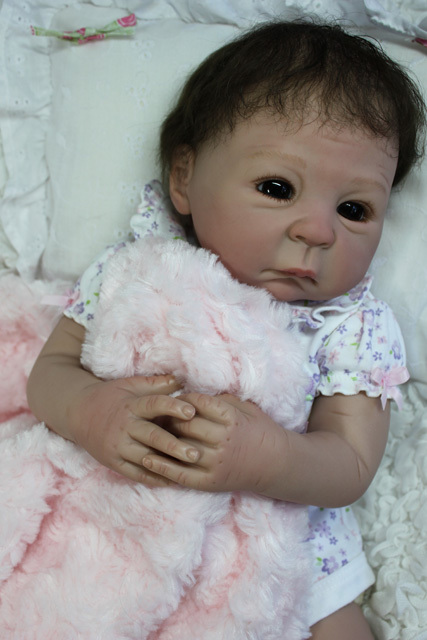 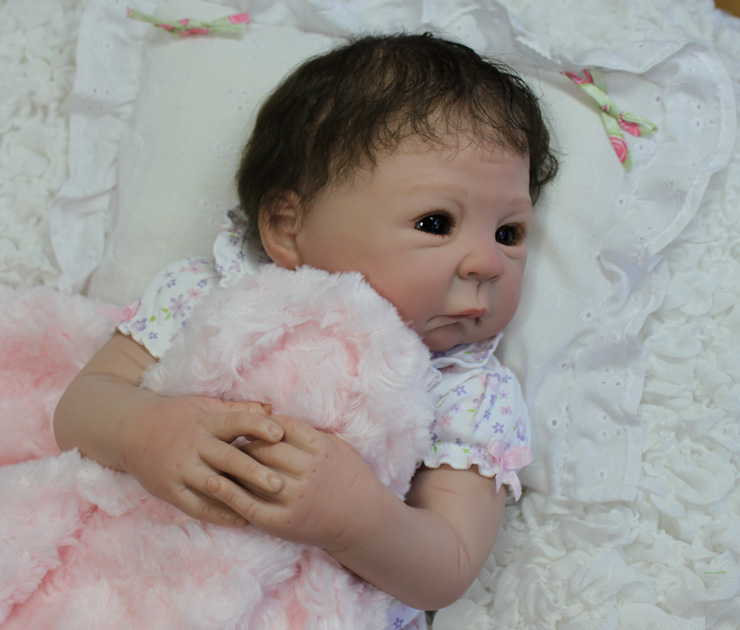 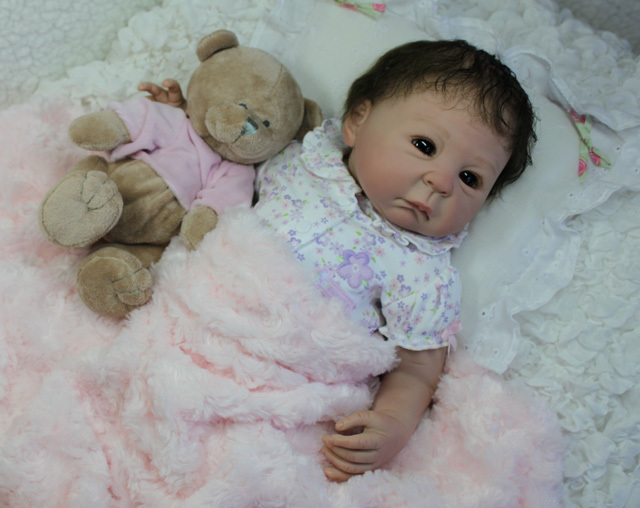 She has a soft velour body, the perfect weight and is now a collectible artist doll and not a toy. 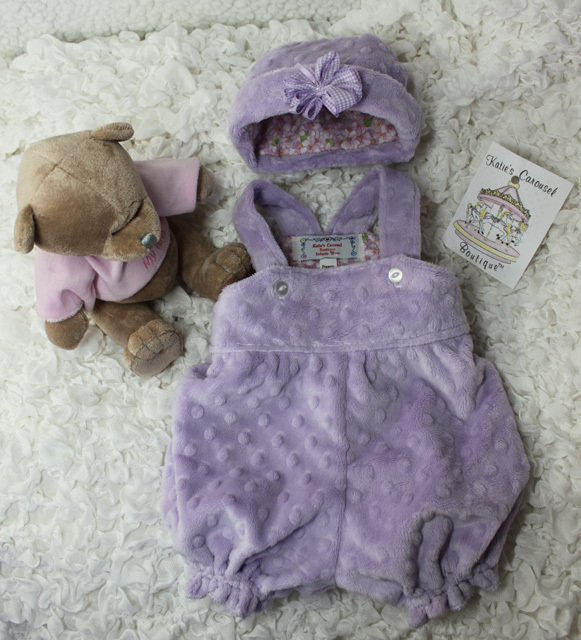 the clothes on the pictures: lilac soft chenille hand sewn design from Katies Carousel USA, romper with matching hat. 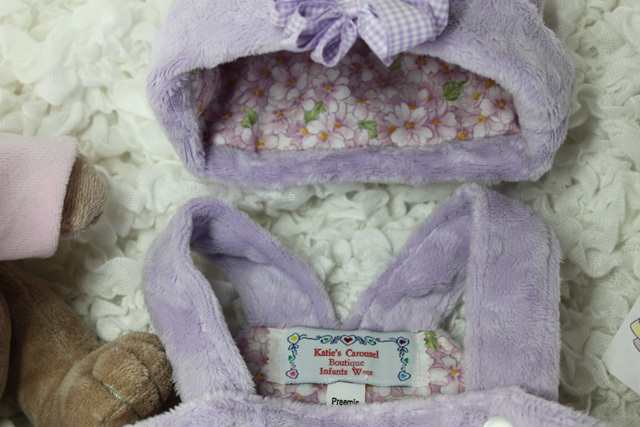 Also a pair of matching socks and an oncie with flowers from Carters USA.